A larger version of the Swim Buddy which has storage ability. Store your keys, wallet, flip flops or shirt inside and keep them dry and always with you. 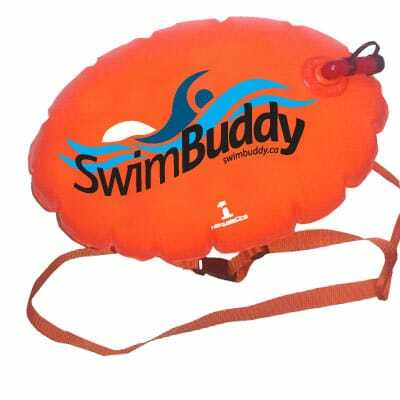 Perfect for one way swims! 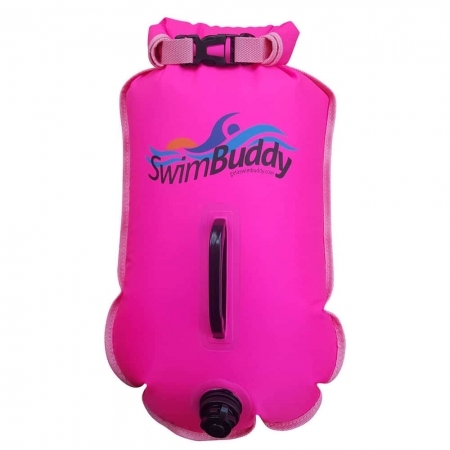 Made of a new super bright polyester fabric that is tougher, more durable, wear resistant, scratch resistant and lighter. 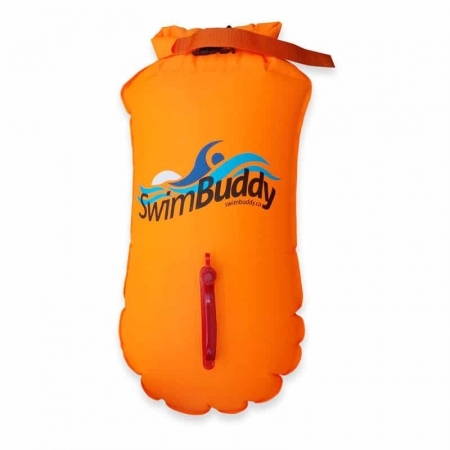 The Touring Swim Buddy has two air chambers which are easily inflated and the adjustable belt will fit any waist size. 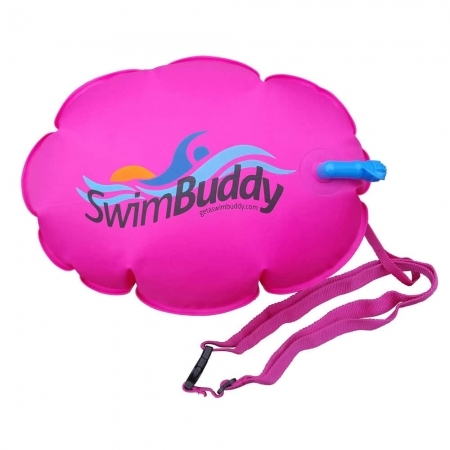 It has two handles which make it convenient for swimmers to hold onto when in the water. 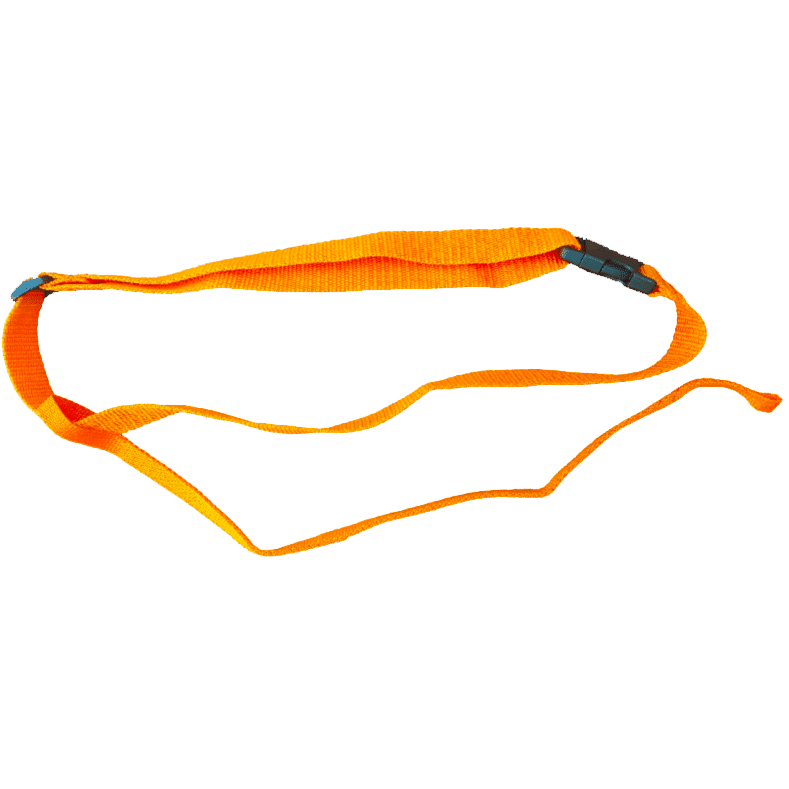 Comes with waist belt and leash. Replacement belts can be purchased separately.